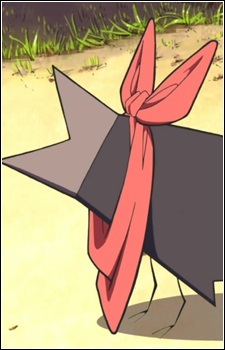 An oddly-shaped crow found by Hakase in episode 17. He spent a day at Shinonome Laboratory and used Sakamoto's scarf to talk, which Hakase gave to him while Sakamoto was sleeping. He took the scarf with him when he left, much to Sakamoto's horror.